Materials: zinc alloy, fabric, rhinestones. 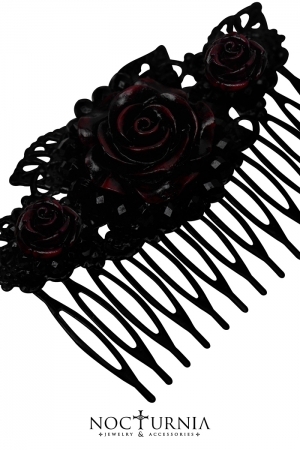 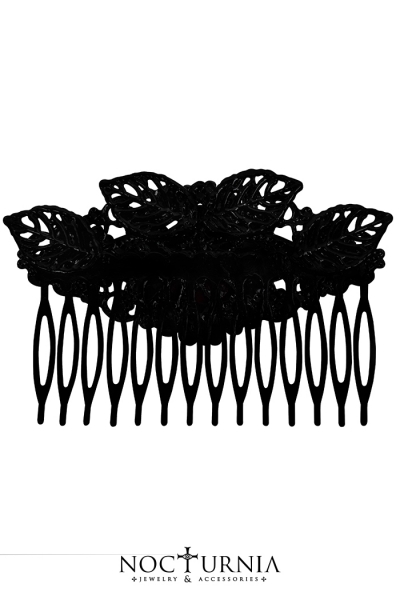 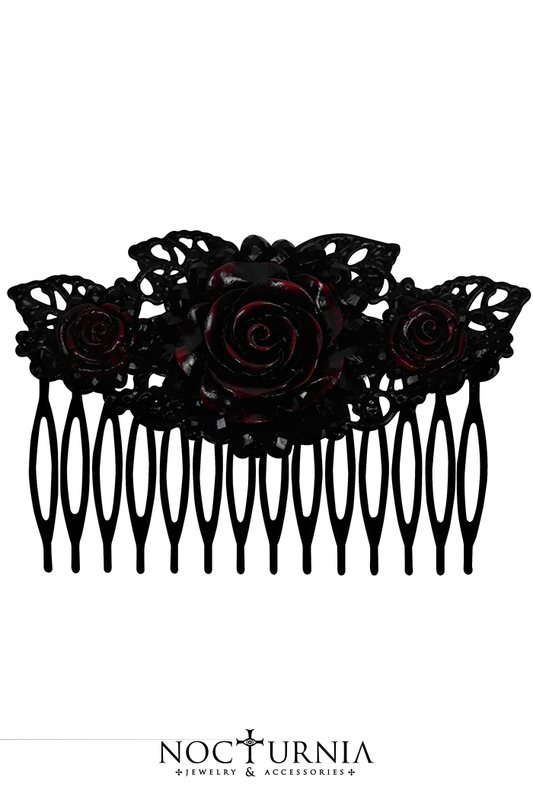 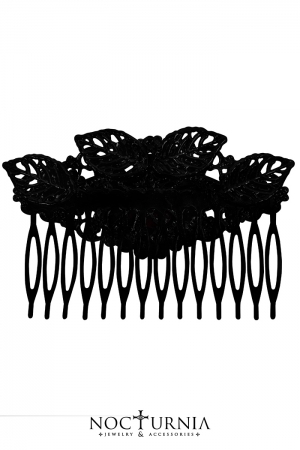 Elegant Hair comb ornated with red roses on a decorated black base. Deep: 1,5; Length: 8,5 cm; Height: 5,5 cm;Weight: 25 g.